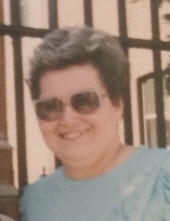 Dolores C. (nee Lusnia) Pinkos, 79, a lifelong resident of the Ironbound Section of Newark passed away on Monday, January 21, 2019 at St. Barnabas Hospital in Livingston, NJ. Dolores graduated from East Side High School in Newark. She worked for Federal Pacific Co in Newark for 20 years and also worked for Joshen Paper Co of Kearny for many years. Dolores was a lifelong parishioner of St. Casimir’s Church in Newark where she was member of the Holy Rosary Society. Wife of the late Raymond Pinkos; devoted mother of the late Cheryl Pinkos; lifelong companion of Paul Uzzolino; also survived by many dear cousins, parishioners and friends. The Funeral for Dolores will be held on Friday, January 25, 2019 at 9:00 AM at the Rucki-Bernauer (Buyus) Funeral Home, 426 Lafayette Street at Wilson Avenue, Newark, NJ; thence to St. Casimir’s Church, Newark, where at 10:00 AM, the Funeral Mass will be offered. Interment Holy Cross Cemetery, North Arlington, NJ. Relatives and friends are welcome to attend. Visitation for Dolores will be Thursday, January 24th from 2 - 4 pm and 7 - 9 pm. To send flowers or a remembrance gift to the family of Dolores C. Pinkos, please visit our Tribute Store. "Email Address" would like to share the life celebration of Dolores C. Pinkos. Click on the "link" to go to share a favorite memory or leave a condolence message for the family.